This Japanese improv group is fast becoming recognized around the world as Japan’s top group. The Pirates of Tokyo Bay (POTB), Tokyo’s only bilingual improv comedy group, which we’ve featured twice before, will mark their 6th anniversary with a special show on December 4th at SuperDeluxe in Roppongi. Mike Staffa, the founder of POTB, tells you about their vast range of activities in Japan and abroad that they’ve done this year. Also he shares what you can see and experience at the upcoming Anniversary show. We have toured 10 times to 6 countries (USA, Singapore, Hong Kong, Philippines, China, Malaysia). 2016 was a great year for us as it was our first time performing in Kuala Lumpur, Malaysia. We were invited to be the first improv group to perform at a beautiful new venue there called the Live House. The audience, the venue, the hosts, and food were all amazing. We can’t wait to get back to Kuala Lumpur. Later in 2016, I was able to perform in Hawaii with On the Spot Hawaii in one of their shows. It was a surprise to see Pirate fans in the audience in Honolulu as these fans had seen the Pirates perform in Tokyo for a few years before they moved to Hawaii! Next year we will be traveling to Germany in January of 2017 to take part in a 27-hour long improv show at the Harlekin Theater in Tübingen, Germany. The Pirates will also be making our annual tours to Singapore and Manila as well. In Singapore we will be conducting workshops at an international school. The UWCSEA (United World College of South East Asia) has hired us for the 4th year in a row to teach their students about improv comedy and to join the student groups in an improv festival in early March, 2017. Towards the end of March we will return to Southeast Asia to perform in the Manila Improv Festival held by our friends at SPIT Manila, the improv theater in the Philippines. It will be our third time to Manila and the festival there is always something we look forward to performing in. Due to our vast international traveling, we have become known in the improv community around the world as one of Japan’s top improv groups. 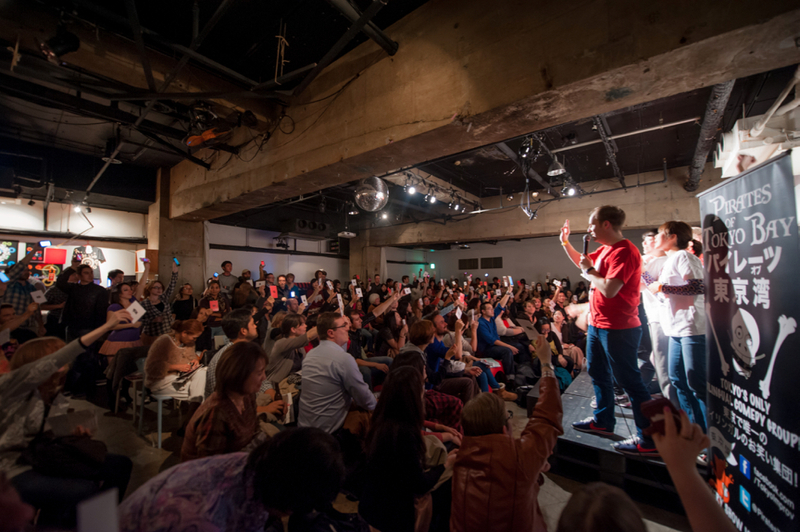 Our monthly shows in Tokyo have regularly featured guests from the world’s elite improv groups such as: Second City in Chicago, Upright Citizens Brigade in NYC, Brave New Workshop in Minneapolis. We have also welcomed guest performers from groups from New Zealand, England, China, Philippines, USA and Canada and more. To perform improv, we need to think quickly, adapt to changes in the scene and trust the people we are performing with. All of these skill points are applicable in the office setting too. Sales teams need to be flexible to the demands of their clients. Management needs to trust their team and think quickly to the changing markets. The Pirates have been using their skills to enhance companies’ business output through our customized training sessions. 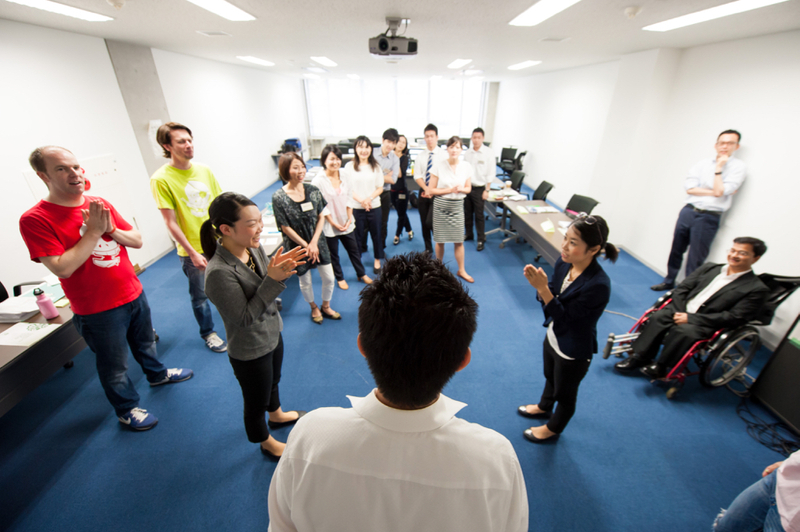 We have trained major Japanese companies from small start ups to major corporations. Each training session focuses on key topics selected by the clients. Areas like: Teamwork, Problem Solving, Trust Building and Communication. More details can be found here. The training sessions can be a one time class or for more concrete results, some clients have hired us multiple times so we can build on what we taught in the previous workshop. We have also worked with Embassies and their staff in Japan, Hong Kong and Malaysia to help bridge cultural communication gaps. It is a lot of fun, for us and for the business people we train, to see everyone open up and become more free thinking to enable them to approach work challenges with a fresh perspective! We are also excited to share with MET readers about our newly formed “Improv University”. This is something new we are trying and a first (we believe) for the city of Tokyo. Classes haven’t started yet as we are still filling up Level 1 and matching them with our teachers. The classes will be taught by Mike Staffa and David Heston. Our goal is to teach groups of students from Level 1 to Level 2 and finally Level 3. And upon graduating from the University, the group of students will have a graduation show and be fully prepared to be their own unique group, trained in the Pirates style. No where else in Tokyo can students enter as novices, and within 10 weeks (Level 1 + Level 2) be guaranteed a performance in an amazing venue in Shibuya and be set free as their own unique group ready to put on regular shows themselves. 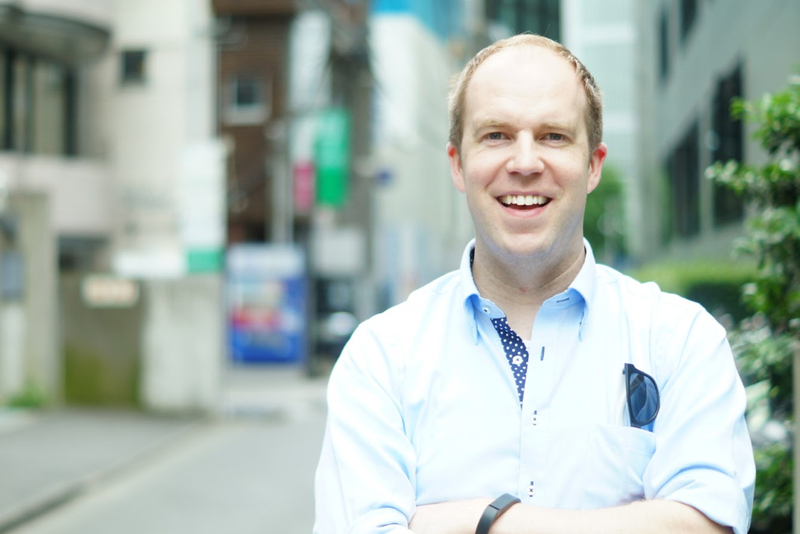 The University is new and growing slowly, but we fully believe once the first group graduates, they will be able to help grow the improv community in Japan alongside the Pirates and the other groups in town. Happy 6th Anniversary, Pirates of Tokyo Bay! POTB will turn 6 this year so we’ll hold our 6th anniversary show on December 4th at Roppongi SuperDeluxe. It will feature lots of surprises, many of them secret! We will have appearances from our sister group in Osaka, the Pirates of the Dotombori who recently celebrated their 10th anniversary preforming in Kansai, as well as a few YouTubers stopping by our show. We have new games planned, new songs and new members making their debut performance. It’s really going to be a special show in a special venue! The 6th anniversary show isn’t just a celebration of our group’s success, but it is also a celebration of our fans and a way for us to thank them for our support. We will have a special photo booth for fans to take photos in by our professional photographer. We’d love to have MET readers get their photos taken and share the photo on the MET website! ☆See piratesoftokyobay.com/schedule/2016/8/22/6th-anniversary-show-6 for the details of POTB 6th Anniversary show on December 4 in Roppongi.